With over 200 like-minded people coming together to learn & network, the 2019 conference will be focusing on ‘Addressing the stigma: Bowel, bladder and sexual complications’. As conditions which affect so many following life-changing injury, Bush & Co. decided to shine a light on their ongoing impact and ways to manage them for improved outcomes. Join us on the 9th July for a chance to meet with an OpeMed representative, discuss your projects and discover our range of solutions for transfer and care. If you would like to arrange and book an appointment to discuss future projects in detail, please contact us. 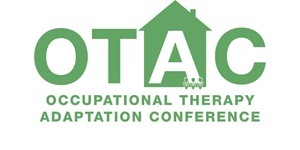 Our second of four OTAC events this year at the Weetwood Hall Estate & Conference Centre in Leeds. Join us on the 24th April for a day packed with the latest equipment and adaptation guidance, you will require in your day to day practice. The third of four OTAC events this year at the Hilton Hotel Ageas Bowl in Southampton. Join us on the 11th September for a day packed with the latest equipment and adaptation guidance, you will require in your day to day practice. Join us on the day FREE of charge for CPD seminars and a chance to see our leading Ceiling Hoists in action. 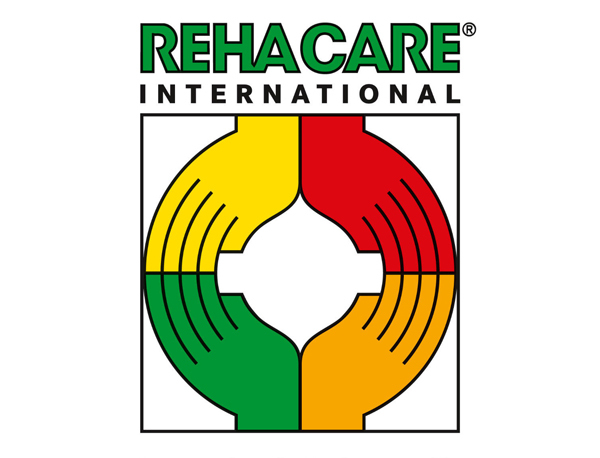 REHACARE is the leading international trade fair for rehabilitation, prevention, inclusion and care. With over 30 years of expertise and wide-ranging experience of the market, this fair is an ideal platform for anyone with disabilities, care requirements or chronic conditions as well as for the elderly. The quality and diversity of REHACARE are reflected in numerous “focal parks”, info events, industry representatives, service providers, paying authorities and non-profit exhibitors. Over 900 national and international exhibitors will be presenting a combination of product demonstrations and complex system solutions as well as a wide range of information in the form of special theme parks, seminars and workshops. OpeMed will be joining distributor Aurigney Healthcare to showcase and demonstrate the OT200 Compact Ceiling Hoist and Monarch Portable Ceiling Hoist, to all the professionals attending. If you would like to arrange and book an appointment to meet OpeMed Managing Director, Nick Kent at REHACARE International, please contact us. The final OTAC event for the year will be held at The Spa Hotel in Kent. Join us on the 6th November for a day packed with the latest equipment and adaptation guidance, you will require in your day to day practice. OpeMed will be joining German distributor Beka.de to showcase and demonstrate the OT200 Compact Ceiling Hoist and Monarch Portable Ceiling Hoist, to all the professionals attending. 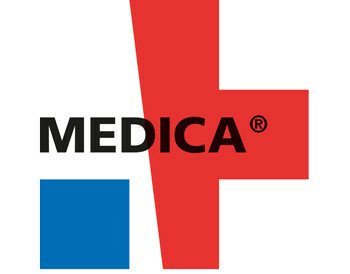 If you would like to arrange and book an appointment to meet OpeMed Managing Director, Nick Kent at Medica, please contact us. OpeMed are exhibiting again at this year’s Occupational Therapy Show at the NEC Birmingham. Running for two days on Wednesday 27th & Thursday 28th November the Occupational Therapy Show is the UKs largest dedicated CPD education and trade event just for Occupational Therapists (OTs). The Occupational Therapy Show welcomes thousands of OTs from all over the country, and from a wide range of specialist areas, to educate, inspire, and raise the profile for such an important allied healthcare profession. If you would like arrange and book an appointment to discuss future projects in detail, please contact us. After another hugely successful year in the GCC we are delighted to be returning to Dubai International Convention and Exhibition Centre, attending Arab Health 2019 to exhibit our range of patient lifting equipment on 28 – 31 January 2019. The Arab Health conference is a global healthcare exhibition taking place in Dubai. Attended by more than 13,000 healthcare professionals from around the globe, the conference provides delegates a chance to learn about products, solutions and other relevant services. If you would like to arrange and book an appointment to meet OpeMed Managing Director, Nick Kent at Arab Health, please contact us. We are proud to start the first of our 4 OTAC events this year at the hallmark hotel in Chester. Join us on the 6th February for a day packed with the latest equipment and adaptation guidance, you will require in your day to day practice. OpeMed will be exhibiting at the up-coming Zorgtotaal with their sister company United Care. Zorgtotaal is a 3 day conference packed with content, experience and entertainment. Market leaders, startups and SMEs demonstrate the most complete selection of products, techniques, innovations and services for the hospital and non-hospital care sectors. In addition to a broad selection of exhibitors, the expo boasts an extensive substantive programme full of readings, demonstrations and simulations. It is, moreover, the place to network and learn how other organisations and institutions implement a solution-oriented approach. If you would like to arrange and book an appointment with OpeMed at Zorgtotaal please click here.